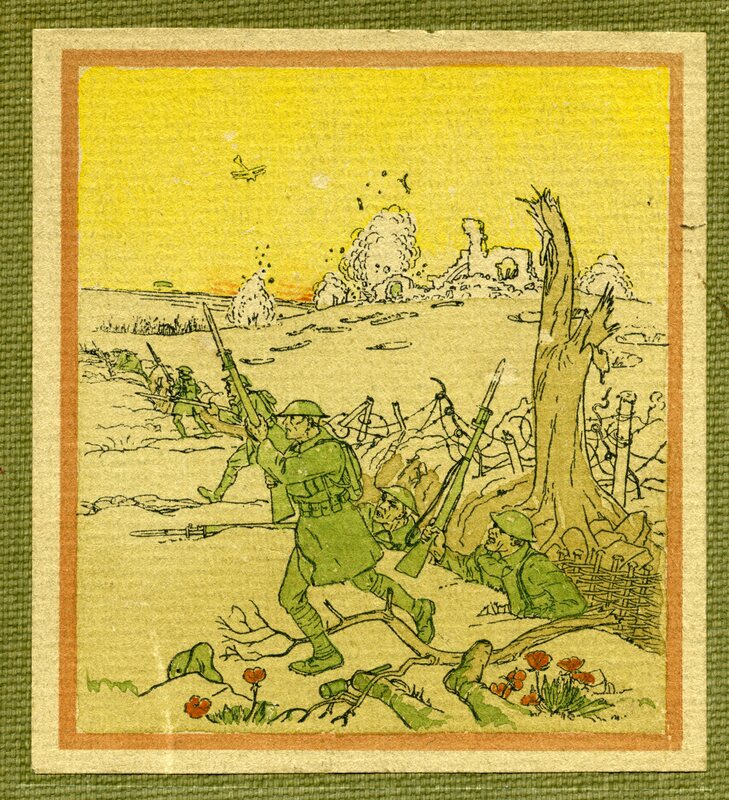 Following up on a series of posts on the World War One Historical Association blog (http://ww1ha.wordpress.com/) regarding dust jacket art from the WWI era, I’ve decided to begin posting some of my favorite examples of war-era cover art. This example is from a copy of the unit history for Company F of the 316th Infantry Regiment. 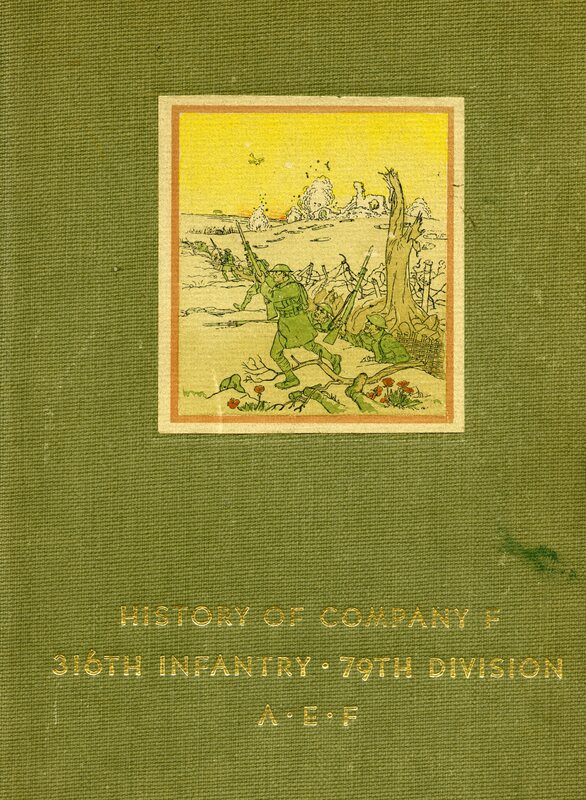 The cover and internal art was designed by a regimental veteran named Thomas M. Rivel who received the Distinguished Service Cross for his action outside Montfaucon, France in 1918. His cover piece combines a few elements that are commonly seen in wartime cover art, including posies, trench details, aircraft and a stone-faced doughboy. A great piece! Very Nice piece….My Grandfather,Matt Deatrick was a Corpral in the 316th’s Supply Company.